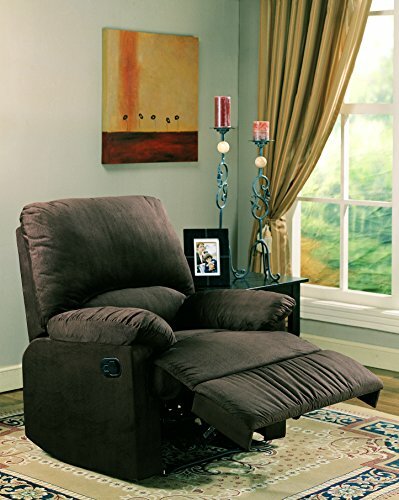 600266 Features: -Recliners Microfiber Recliner.-Casual style.-Attached back.-Pillow arm provides plush comfort.-Exterior handle. Color/Finish: -Color: Chocolate.-Stylish microfiber in four color choices. Dimensions: -Seat Depth: 20.5''.-Overall Dimensions: 40'' H x 35'' W x 35'' D.